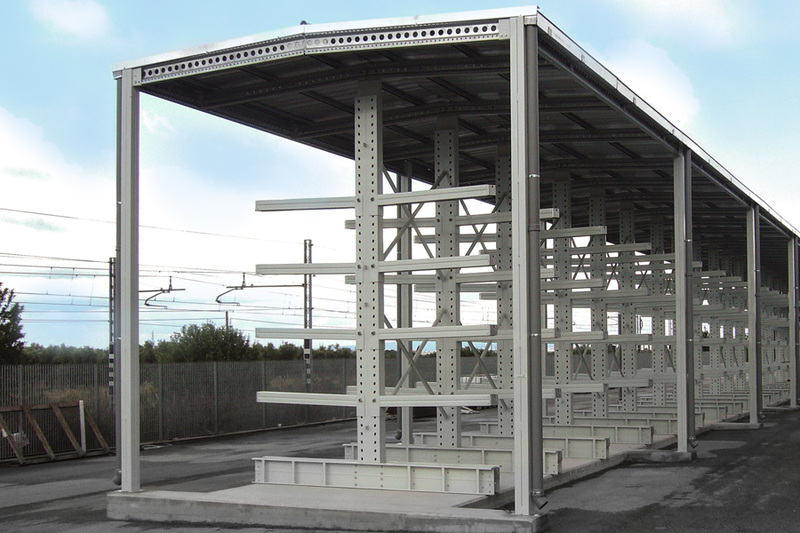 Cantilever racks are a modular and free-standing storage system for bars, profiled items, steel plates, panels, tubes, wooden panels and similar items. 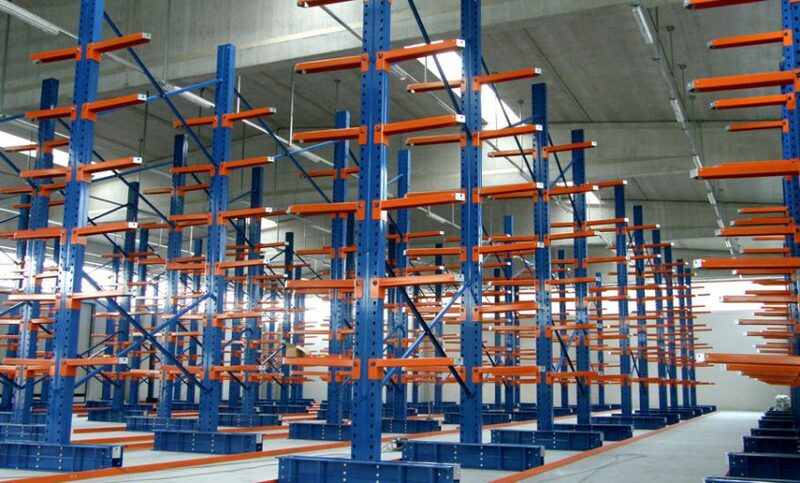 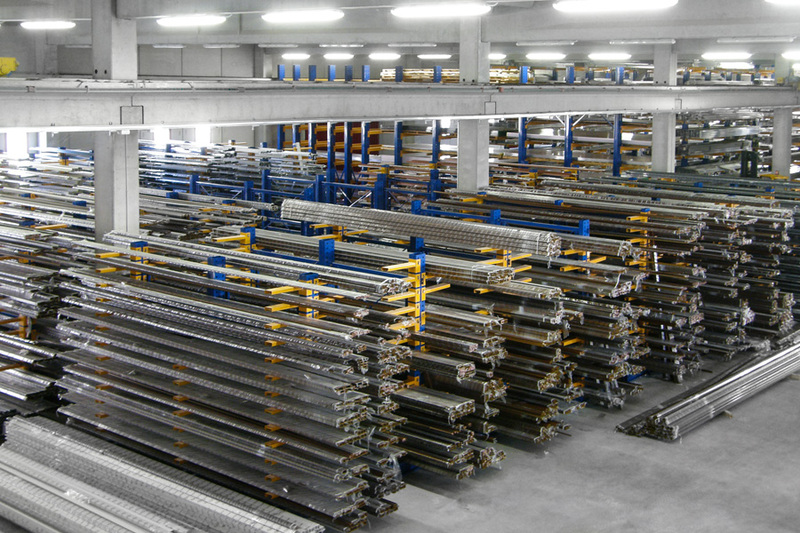 These racks are composed of columns varying in height and section according to the load capacity required and are interconnected by means of special cross-bracings. 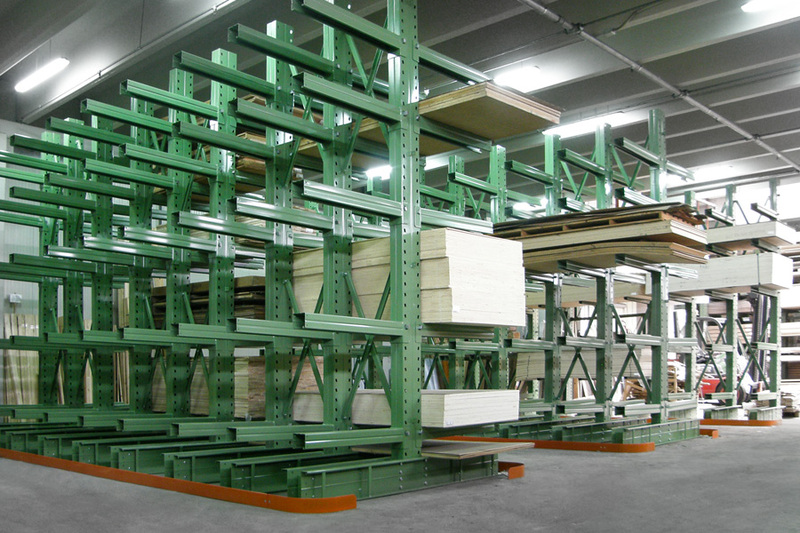 All columns are equipped with lock-in arms where the goods are safely placed and stored.